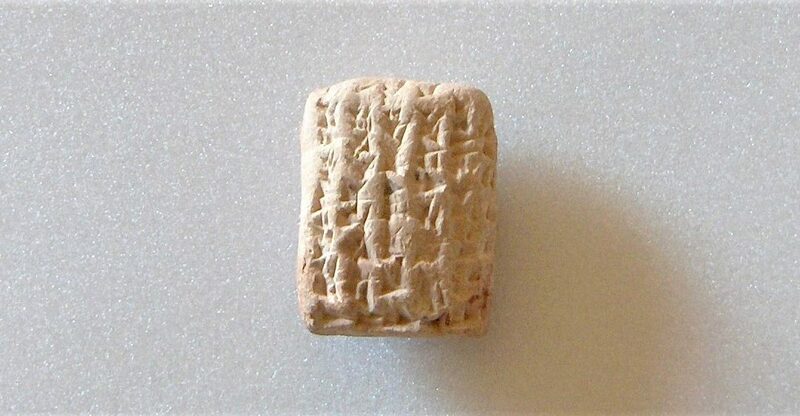 This tiny clay tablet is part of a small number of cuneiform tablets in the Castle’s collection. It was made in the 6th century BC in Babylon, a kingdom in ancient Mesopotamia, which is located in the area of modern-day Iraq. Mesopotamia is often considered to be the area where civilisation began. Cuneiform is the oldest form of writing in the world. It was made by pressing a wedge-shaped stick or reed into a clay tablet, which was then left to dry or be baked by the sun. This tablet was made during the Neo-Babylonian period (626 - 539 BC). Before this time, the kingdom of Babylon had been ruled over by the Assyrians. After the death of the last Assyrian king, Ashurbanipal, Babylon rebelled against their rule and took back power. 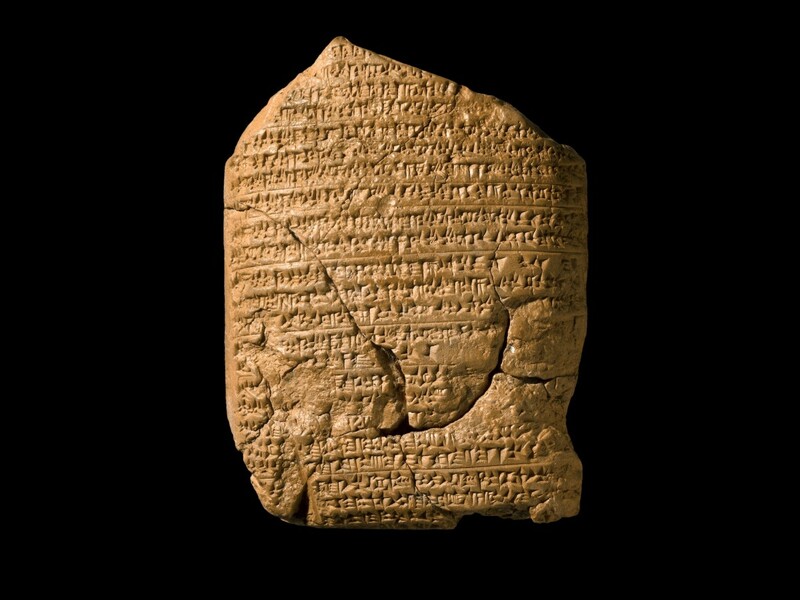 This tablet is dated as having been written in ‘the 36th year of the reign of Nebuchadnezzar II, King of Babylon.’ Nebuchadnezzar II is known for having been one of the most important Babylonian kings and a famous builder. He is credited by the Greek historian Herodotus (485 - 425 BC) as having commissioned the Hanging Gardens of Babylon for his wife Queen Amytis. 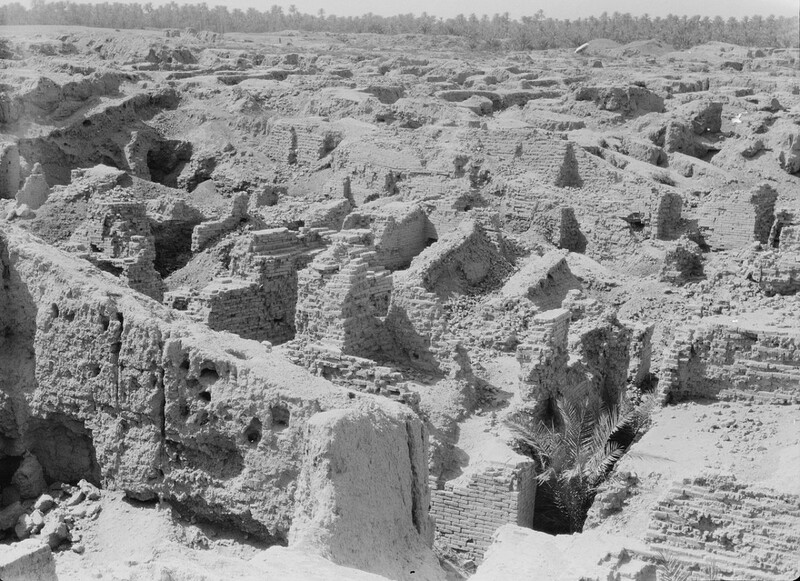 A large proportion of the ruins of the city of Babylon are made up of bricks marked with the inscription of Nebuchadnezzar II. He is also a key figure in the Bible, and the famous tower of Babel is believed to have been inspired by a large terraced building, or ziggurat, in his rebuilt capital. There is an important cuneiform tablet in the British Museum which details events during the reign of Nebuchadnezzar II. It is through cuneiform tablets that scholars have been able to link some figures and stories in the Bible to historical records. Many cuneiform tablets contain more mundane, every-day records. Our Object of the Month is actually a receipt! Cuneiform receipts like this one were not necessarily made to last. They were made out of materials that were available - clay and reeds from the rivers. In particular, they were often used by students to practice writing on and then they were discarded. The Castle’s cuneiform receipt records the purchase of bronze locks and a wooden bolt for a door, provided by a carpenter and a smith. It is fascinating to be able to see a receipt for building materials from the period during which the city of Babylon was being rebuilt and developed. The door which these bronze locks and wooden bolt were bought for may even have been part of one of the monumental gates that stood at the entrances of Nebuchadnezzar’s city. 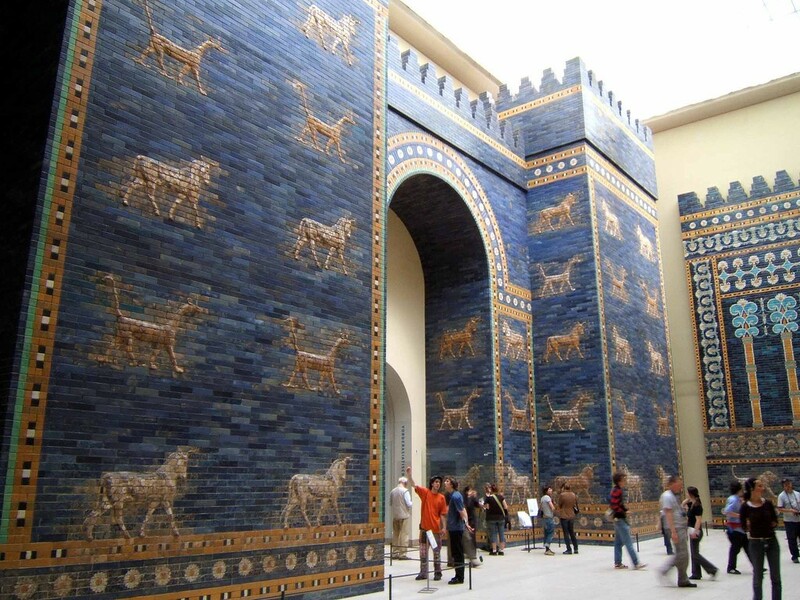 There was an inscription by Nebuchadnezzar on the blue-tiled Ishtar gate, which has been replicated in the Pergamon Museum in Berlin, which mentions doors made from cedarwood and bronze. Cuneiform tablets only began to be understood in the West in the mid-19th century. Artefacts from excavations in Iraq of ancient Mesopotamian cities began to be brought back to the British Museum in particular by the archaeologist Austen Henry Layard (1817 - 1894). The key to cracking cuneiform script was an ancient inscription carved into stone in three different languages, as with the Rosetta Stone and heiroglyphs. An inscription carved into a rock face in Western Iran in three different types of cuneiform, including Persian, was discovered and copied by a British army officer in the mid-19th century. Scholars then worked on using this as a guide to translating cuneiform tablets. The ability to translate cuneiform has helped uncover many historically important texts, such as an ancient reference to the flood myth from the Bible. The Castle’s cuneiform tablet is a fascinating addition to the Ancient Egyptian collection and displays. It is believed that heiroglyphs were adapted from or inspired by cuneiform. Cuneiform tablets can be viewed in the Ancient Egyptian Room during the open season from the end of March this year.